continually challenged and do not fit into neat categories like strategy, technology or finance. Because problems are more complex and continually changing, leadership and context are now more important than ever. We’ve designed this series as a complimentary opportunity for you to explore challenges with experts from Duke CE and our global educator network. Our quarterly episodes will be 45 minutes in length, presenting you with the opportunity to discover and discuss leadership for what’s next, so you and your organization can be ready. Every industry faces new realities in the digital future. Business models and practices that have been tried-and-tested in the industrial age may not work going forward. Your competitors in the future are not only those companies that you have competed against in the past. Companies that are “digitally-born” bring new competencies rooted in digital technologies. Futureproofing is about preparing your next-generation leaders to recognize and respond to these shifts and prepare for a digital future. This webinar will help you understand key futureproofing concepts and ways to put them into action. Leading practitioner of innovation and corporate transformation with over 25 years experience in multi-national companies (P&G and Kimberly Clark). He is the former Chief Strategy & Innovation Officer of Sime Darby and was a Partner and VP at Innosight, a firm founded by disruptive innovation expert Clayton Christensen. He is the David J. McGrath Jr. Professor of Management at the Questrom School of Business, Boston University and is considered a foremost authority on digital innovation. Recognized as the 2017 #1 global voice for Education on LinkedIn media network, Heather McGowan is an internationally known speaker, writer, and thought leader. McGowan prepares leaders to most-effectively react to rapid and disruptive changes in education, work, and society. As a Future of Work Strategist, Heather has worked with diverse teams to address these challenges. Recognizing that business innovation begins with education, specifically learning faster than your competition, she has worked with university presidents and corporate human resources managers to prepare both graduates and workers for jobs that do not yet exist. She was the strategic architect of the Kanbar College of Design, Engineering, and Commerce at Philadelphia University (now Jefferson), the first undergraduate college explicitly focused on innovation. At Becker College, she crafted the Agile Mindset learning framework used to prepare students to work in an uncertain future. She assists corporate executives in rethinking their business models, teams, and organizational structures to become resilient in changing markets while helping academic, nonprofit, and foundation leadership rethink education and philanthropy. Her clients range from start-ups to publicly traded, Fortune 500 companies, including Autodesk, Citi, The World Bank, and BD Medical. Often quoted in the media, notably by NYT columnist Thomas L Friedman for her thought leadership in the Future of Work, McGowan also serves on the advisory board for Sparks & Honey, a New York-based culture-focused agency focused on the future for brands. A leading technology analyst for more than 25 years, Chris Shipley is passionate about entrepreneurship as the driver of innovation, economic growth and restorative sustainability. She has built a career identifying innovative startups that create markets and drive positive and disruptive change. As the executive producer of the DEMO conference from 1996 to 2009, Chris helped more than 1,500 companies make their market debut. If those companies were a portfolio, they would have a combined market value of more than $60 Billion. 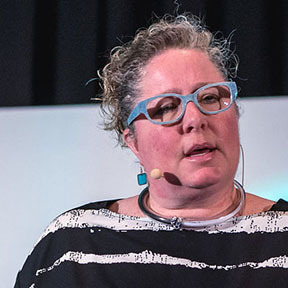 Chris began her career at Ziff-Davis, where she worked as a writer and editor for 12 years before joining International Data Group (IDG) to lead DEMO. Chris co-founded two companies, including the startup media and consulting firm Guidewire Group. She now consults with growth-stage startups around the world, and is the head of business strategy for Pittsburgh-based startup Sparkt.com. Her work has won numerous citations, including the prestigious SVForum Visionary Award in 2010. She is a board member and advisor to a number of high-impact early stage companies. Chris holds BA degrees in Literature and Communication Arts from Allegheny College in Meadville, Pennsylvania. Learn how to tackle your own launch – whether it is launching a new idea, project, business or career. Launching anything successfully means changing the status quo and overcoming uncertainty. Successfully navigating the challenges associated with launching something new requires clarity of purpose and intentionality. In this session, thought leader Sanyin Siang shares examples and lessons from industry leaders and the sports world including, Apple, HP, and the NFL. Learn from her experience as a coach to leaders around the world and the smart practical field guide contained in her award-winning book titled, The Launch Book: Motivational Stories to Launch Your Idea, Business or Next Career (LID Publishing, 2017). 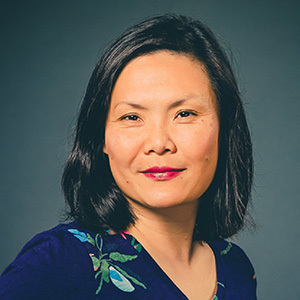 Sanyin Siang is the Executive Director of the Fuqua/Coach K Center on Leadership & Ethics (COLE) at Duke University’s Fuqua School of Business and a professor with Duke’s Pratt School of Engineering. She is an advisor for GV (formerly Google Ventures), Duke Corporate Education and the Sports Innovation Lab, and she is a senior fellow with Dan Ariely’s Center for Advanced Hindsight. 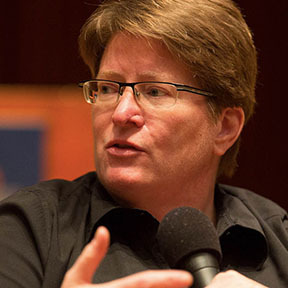 Her thought leadership has appeared in Forbes, Fortune, The Wall Street Journal and CNN. She is a LinkedIn 2017 Top 10 Influencer with 930,000+ followers and was named to the 2018 Thinkers50 On the Radar list. She has served on boards of startups and nonprofits including the National Board of the Duke Children’s Hospital & Health Center, the Governing Board of the Emily Krzyzewski Center and the Museum of Life & Science. Sanyin received a BSE in Biomedical Engineering and an MBA from Duke University. She is a mother of three, ages eight and under. In this Leadership Series Episode learn how high performing organizations and professionals harness the power of networks to innovate, execute AND gain 20% of their time back by avoiding the pitfalls of collaborative overload. Why: The collaborative intensity of work has exploded over the past decade. Most knowledge workers or leaders spend 85% or more time in a given week on email, in meetings and on the phone. Some factors contributing to this include the transition to matrix based structures, increased complexity of products and services, globalization, email proliferation and adoption of collaborative tools and social media. This places an enormous – and invisible — cost on organizations and people. Technology, demanding bosses, needy clients and inefficient co-workers are problematic. But for most of us, these time drains are matched by another enemy – ourselves. While there is undeniably a more demanding reality today, much of the problem is driven by how we decide to structure that reality or let our calendars and “to do” lists look like someone else’s idea of fun. What: Over the past eight years, Rob Cross has been involved in qualitative and quantitative research across 50+ firms addressing how organizations and professionals harness networks to innovate, execute and manage collaborative overload efficiently. 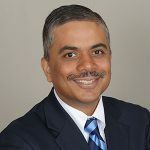 For almost twenty years, his research, teaching and consulting have focused on applying social network analysis ideas to critical business issues for actionable insights and bottom-line results. He has worked with over 300 leading organizations (companies, government agencies, and non-profit organizations) across industries on a variety of solutions including innovation, revenue growth, leadership effectiveness and talent management. 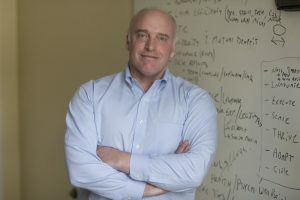 Ideas emerging from his research have resulted in three books, the most recent one titled, “Driving Results through Social Networks.” Rob has written over 50 articles, many of which have won awards. 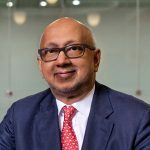 In addition to top scholarly outlets, his work has been repeatedly published in Harvard Business Review, Sloan Management Review, California Management Review, Academy of Management Executive and Organizational Dynamics. His work has also been featured in venues such as Business Week, Fortune, The Financial Times, Time Magazine, The Wall Street Journal, CIO, Inc. and Fast Company. Technology is rapidly disrupting how we interact and work. As a result, our organizational structures are becoming outdated and need to be more agile to respond to these shifts. Justin Ferrell, an experienced educator and creative practitioner, will explain how we can learn from digital user behavior to design creative and agile teams that enable the organizations. This human-centered approach is the foundation of expert Justin Ferrell’s approach to building organizational and team change. Why: The nature of organizational systems is evolving, from hierarchical models rooted in the assembly-line Industrial Age, to emergent ones accelerated by the Digital Age. What: In an emergent model, leaders inspire diverse teams to co-create unimagined outcomes in the space beyond their silos. Unimagined outcomes, by definition, can lead to a redefining of the ecosystem — the disruptive innovations that change the world. How: You can use design thinking to redesign/reimagine your organization and teams to navigate this emergent and disruptive reality. An experienced teacher, facilitator and creative practitioner, Justin has led innovation sessions for prominent organizations including Colgate-Palmolive, Dow Jones, Facebook, Fidelity Investments, Google, HP, Infosys, Nedbank, NRK, SAP, The Aspen Institute, The New York Times, The United Nations, the U.S. Department of State and the World Economic Forum. He also teaches execu­tives at the Stanford Graduate School of Business, and has worked with executive education programs at Aalto Univer­sity in Finland and EGADE Business School in Mexico. 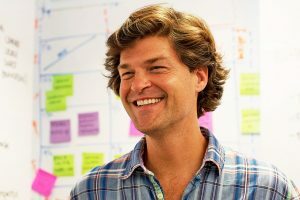 The former director of digital, mobile and new product design at The Washington Post, Justin also teaches graduate courses in design thinking and organization design at the Institute of Design at Stanford (“the d.school”).